Having Faith In All Children | Little Moments. Big Memories. 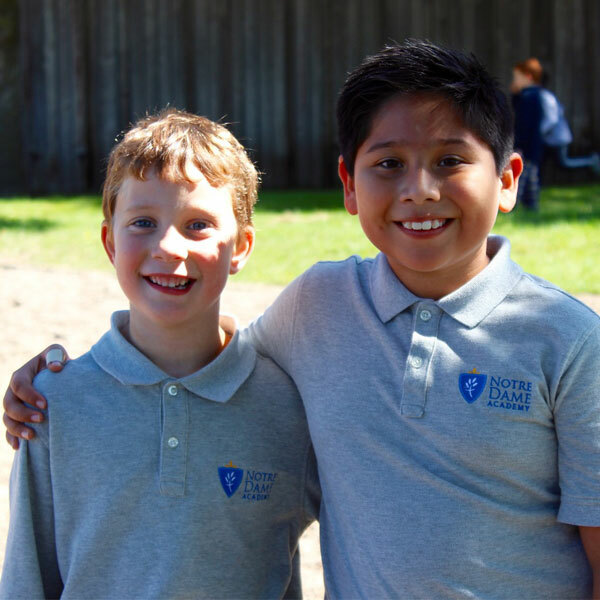 Our team of dedicated teachers offers a child–centered education that is authentic, relevant, taught with kindness and inclusiveness, with a commitment to the whole child — always remaining Christ–centered and focused on academic excellence, social responsibility and spiritual integrity. Our team of dedicated teachers offer a child-centered education that is authentic, relevant, taught with kindness and inclusiveness, with a commitment to the whole child — always remaining Christ-centered and focused on academic excellence, social responsibility and spiritual integrity. Ensuring our families have access to valuable online news, forms and other online resources is very important to us. For information regarding lunches, uniforms and our calendar of events, start here. For parents who want more for their children, Catholic schools provide academic rigor and better educational outcomes by developing the minds, hearts and souls of our children in a faith-centered environment. 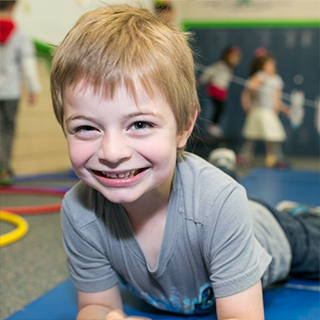 The Notre Dame Academy Preschool Program allows children to begin their journey in education with dedicated teachers who share their love of children and strive for excellence in Catholic education. 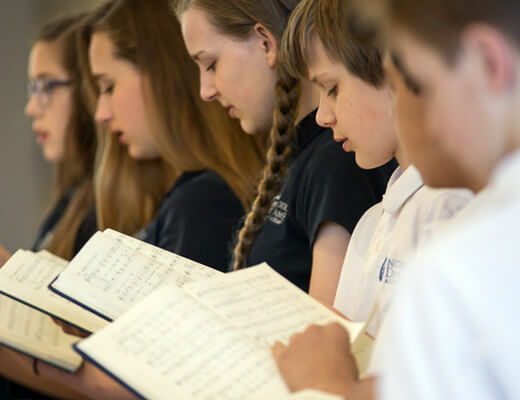 As a regional Catholic school, our mission is to provide PreK — 8th grade students a Christ–centered and innovative learning environment where each student has the opportunity to grow spiritually and academically. 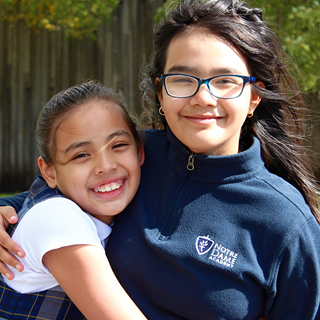 Continually guided by the spiritual example of Our Lady, Notre Dame Academy provides a caring and nurturing community for all. 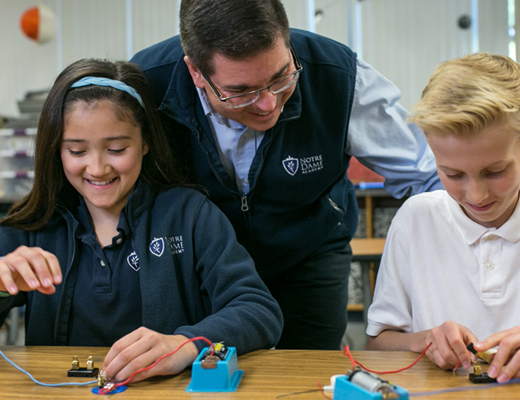 Our team of dedicated teachers offers a Christ–centered, innovative, child–focused education that is authentic, relevant, taught with kindness and inclusiveness, with a commitment to the whole child — always remaining Christ–centered, focused on academic excellence, spiritual integrity and Catholic social responsibility. We have a vested interest in each student and we are passionate about their future. 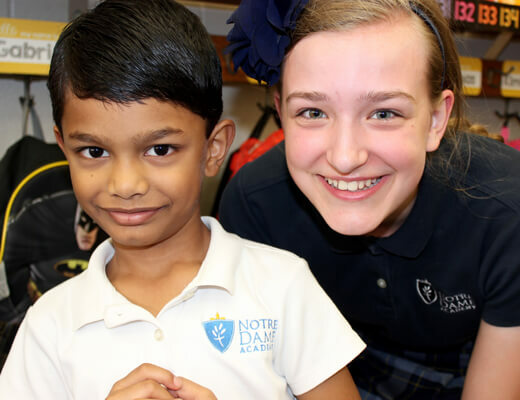 As an unbiased, PreK – 8th grade, Catholic school, Notre Dame Academy holds a unique position that enables us to educate and bring unity to a diverse group of students for the good of all. We believe that an innovative, faith-based education provides spiritual guidance and academic opportunity for all students far into the future. Note: Please include the age/grade level of your child(ren) so we can best align the tour for your family.